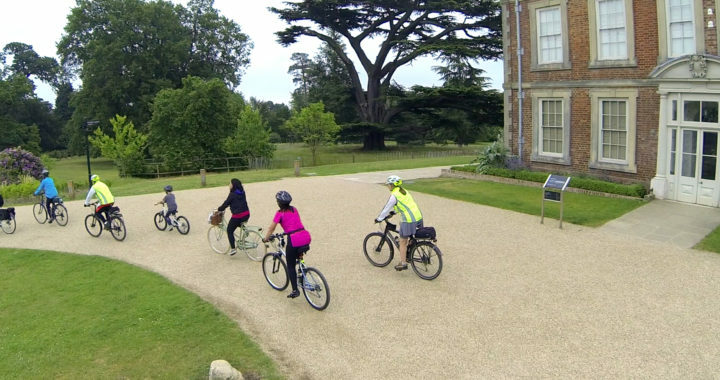 On the second Sunday of every month there is a free bike ride around Enfield. Watch our film below to see one of our Sunday rides in action. Enfield has some wonderful green areas that are perfect to explore by bike. Cycling can be a great way to explore our community, either on your own or as a family adventure. Each ride will be suitable for families (with children of all ages) and led by trained instructors. They are a great chance to explore various parts of the borough and pick up some cycling tips. The meeting time is 10am, when the instructors will carry out a quick safety check of your bicycles before setting off. The ride will end by 1pm. Please bring along some refreshments for when the group takes a break en route. IMPORTANT: You’ll need to be able to ride and bring along your own bicycles for these rides. Please join one of our free cycle skills classes if you need to brush up on your skills first.